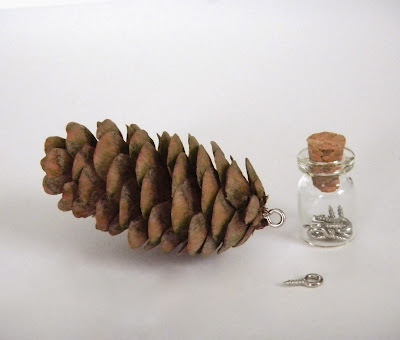 I was at my daughters house and she had all these little pine cones in her yard, so I picked up a few and put them in a mason jar for future projects. 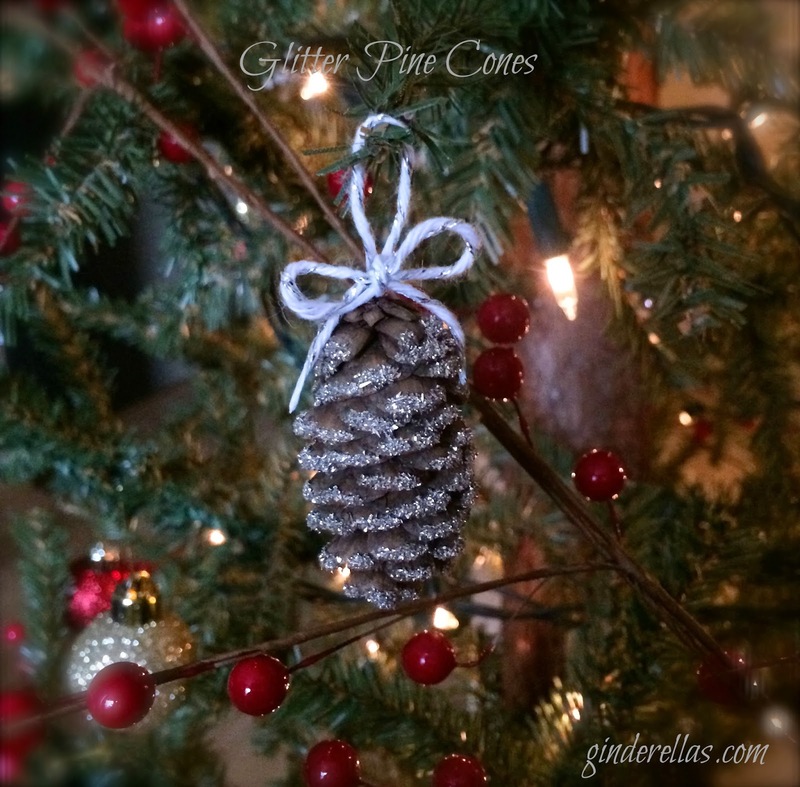 I decided I would try some mini glitter pine cone ornaments. They are really easy and quick to make. First I screwed in my eye screw to the top of the pine cone. With my paint brush I painted a line of glue along the edges of the cone and sprinkled with glass glitter. 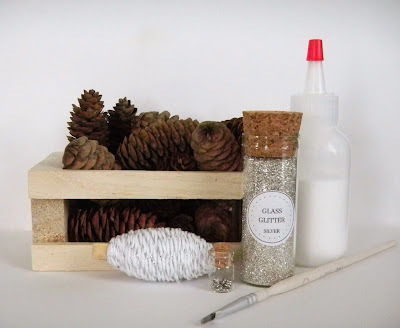 When it was completely dry I added my metallic bakers twine.